While this season marks TWE's 20th Anniversary, it also happens to be the 50th Anniversary of NASA's Apollo 11 mission, which landed Neil Armstrong and Buzz Aldrin on the surface of the moon. We celebrate this American achievement through a concert of music devoted to and inspired by space, the planets, stars, and the final frontier. The project is nearing completion, and the and personality of the compassionate and adorable, main character, Sebastian (shown in the image to the right) is being created in the 3D world of the final animation. One Limited Edition Canvas print of animation "cels"
Limited Edition glossy print of animation "cels"
To contribute to this project please click the "Donate" button below, or for more information and details, please email us at treasurer@trianglewind.org or call 919.960.1893. While the lovable hero of our Sheltering Sky Animation, Sebastian, won't make his film debut until our April 13 concert, you have the opportunity to get your hands on him now! Not one to be confined within a 3D animation, this adorable little guy now also exists in our world as an eight inch plush toy which you can take into your own home in exchange for your donation of $20 or more (plus shipping and handling, if needed). All funds raised from these donations will go directly toward the funding of this ambitious animation project. To get your own Sebastian, Contact us! 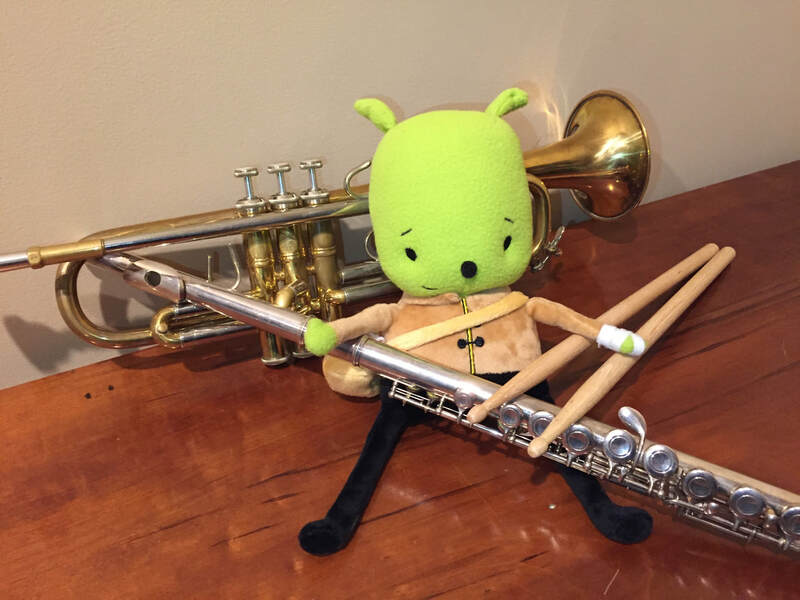 Triangle Wind Ensemble members are all volunteers, but our aspirations are to present the finest professional musical experiences for our audiences. We are seeking additional Season Sponsors to help us maintain our high standards and secure our future. TWE members' dues and contributions generate enough each year to cover the costs of renting weekly rehearsal space from Wake County Public Schools and to pay a modest stipend to our wonderful Music Director/Conductor. We receive a small annual operating grant from the Town of Cary, and we in turn pay the Town for use of the performance facilities and technical services to produce our concerts at the Cary Arts Center and Booth Amphitheatre. All other expenses must paid for by ticket sales, grants, matching gifts from the employers of some of our members, program advertisers, and private donations. Here is where you can help! The Triangle Wind Ensemble is seeking additional Sponsors for our concert seasons. Donations of any amount are welcome — annual donors of $50 or more are listed on each concert program. Listing as a Season Sponsor in each concert program during the season. Prominent Listing on our website throught the year. ​Will you help us create great music? Please click the donate button below. Thanks! The Triangle Wind Ensemble is an adult wind ensemble based in North Carolina's Triangle region. Many of the area's most talented wind and percussion players join together to practice and perform an exciting range of music for audiences in both formal and informal settings. Our repertoire includes transcriptions of classical orchestral music, original compositions for wind band, small ensemble pieces, popular medleys and arrangements, as well as holiday and patriotic music for special occasions. We present multiple concerts each season in locations across the Triangle, including Raleigh, Durham, Cary, and Chapel Hill.